All multicellular organisms produce hormones, which are regulatory biochemicals part of the endocrine system and serve as a major form of communication between different organs and tissues. Hormones regulate a variety of physiological and behavioral activities, including digestion, metabolism, respiration, tissue function, sensory perception, sleep, excretion, lactation, stress, growth and development, movement, reproduction, and mood. Animal hormones are classified by their chemical types (e.g. peptide- or lipid-based). The peptide hormone family includes vasopressin, insulin, luteinizing hormone, follicle-stimulating hormones, and several others, while the lipid hormones family includes phospholipid-derived hormones from the arachidonic pathway (e.g. eicosanoids) and steroid hormones like testosterone and cortisol. Enzo Life Sciences provides a variety of high sensitivity ELISAs, high quality antibodies and high purity Biochemicals for researchers looking at hormone-related research. Peptide hormones are secreted from the pituitary gland. The anterior pituitary secretes important glycoproteins like follicle-stimulating hormone (FSH) and luteinizing hormone (LH) which are involved in fertility, thyroid stimulating hormone (TSH), which is involved in metabolism, adrenocorticotropic hormone (ACTH), which acts on the adrenal cortex to regulate the secretion of glucocorticoids; and growth hormone, which acts on bone, muscle, and the liver. The posterior pituitary gland secretes antidiuretic hormone, also known as vasopressin, and oxytocin. Peptide hormones are produced by many different organs and tissues, including the pancreas (glucagon, insulin and somatostatin), the gastrointestinal tract (gastrin), and adipose tissue stores (leptin). Enzo Life Sciences provides a variety of high sensitivity ELISAs, high quality antibodies and high purity biochemical for researchers looking at hormone-related research. Regarded as the “love” hormone, Oxytocin is a key neuromodulator in the brain, with defined roles in social behavior including parental nurturing, social pair- bonding, trust, and management of stress experiences. It’s also a key hormone during mammalian birthing and lactation. Join the many scientists worldwide who entrust their research to the Enzo Oxytocin ELISA kit. 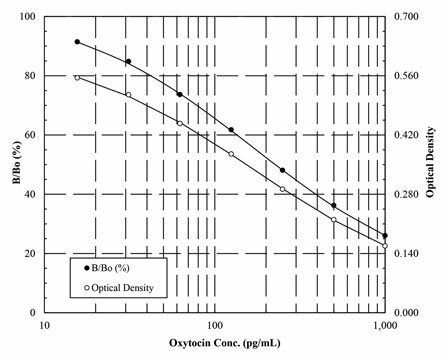 Standard curve experiment using the Oxytocin ELISA Kit (Prod. # ADI-900-153A). Steroid hormones are lipid-soluble molecules which help control metabolism, inflammation, immune functions, salt and water balance, development of sexual characteristics, and the ability to withstand illness and injury. Steroid hormones are generally synthesized from cholesterol in the gonads, placenta and the adrenal glands. They can be grouped into five groups by the receptors to which they bind including: glucocorticoids, mineralocorticoids, androgens, estrogens, and progestins. Vitamin D derivatives are considered a related hormone system due to its homologous receptors. Enzo Life Sciences provides a variety of high sensitivity ELISAs, high quality antibodies and high purity biochemical for researchers looking at hormone-related research. Corticosterone is a glucocorticoid secreted by the cortex of the adrenal gland. It is produced in response to the stimulation of the adrenal cortex by adrenocorticotropic hormone (ACTH) and is the precursor of aldosterone. Corticosterone production has been shown to increase with stress, with elevated corticosterone levels being associated with impairment of long term memory retrieval and following burn injury. In addition to stress levels, corticosterone is believed to play a decisive role in sleep-wake patterns. The Corticosterone ELISA Kit is a widely used sensitive ELISA kit with a large variety of sample types and highly reproducible results for animal stress research. Routinely used to monitor stress levels in zoo animals. When inflammation is left unchecked, it can cease to be a beneficial event and contribute to the pathogenesis of numerous diseases which include rheumatoid arthritis, chronic bronchitis, emphysema, asthma, psoriasis, cancer, and colitis. Molecules in the arachidonic acid enzyme cascade play a number of important biological roles, both normal and pathological. The derivatives of arachidonic acid are known as eicosanoids, a group of biologically active oxygenated unsaturated fatty acids. They include prostaglandins, thromboxanes, leukotrienes, hydroxyeicosatetraenoic acids (HETEs), and lipoxins. Eicosanoids have been shown to enhance, as well as attenuate inflammation and have also been linked to carcinogenesis. Enzo Life Sciences provides a wide selection of high sensitivity ELISA kits for detection of eicosanoids, as well as small molecules, antibodies and a bioactive lipid library for studying the role of eicosanoids in inflammation and immunity. PGE2 is an eicosanoid, lipophilic hormone important in inducing fever, causing uterine contractions during labor, and stimulating osteoblasts to release factors that cause bone reabsorption. Enzo Life Sciences offers the most sensitive and complete colorimetric ELISA kits for quantification of prostaglandins in a wide variety of sample types. 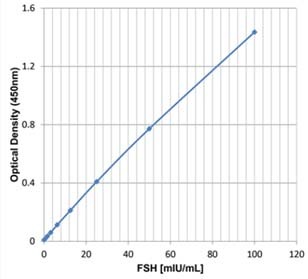 Lot-to-lot consistency: Graph demonstrates the robust and reproducible nature of the PGE2 ELISA kit (Prod. # ADI-900-001) showing standard curves from 10 lots manufactured over 5 years. Leukotrienes are major products of 5-lipoxygenase metabolism of arachidonic acid. 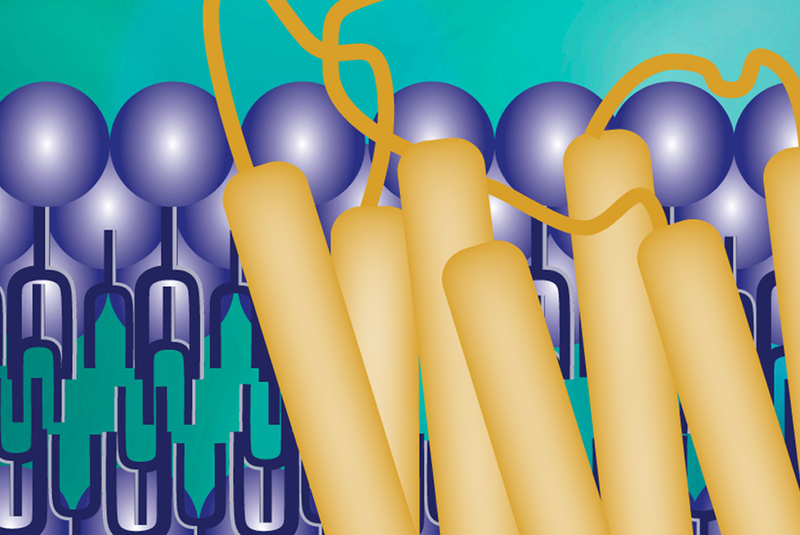 Leukotriene B4 (LTB4) stimulates leukocyte functions including lysosomal enzyme release, adhesion, and aggregation of polymorphonuclear leukocytes. This eicosanoid has also been implicated as a potent mediator of inflammatory diseases and immunoregulation. 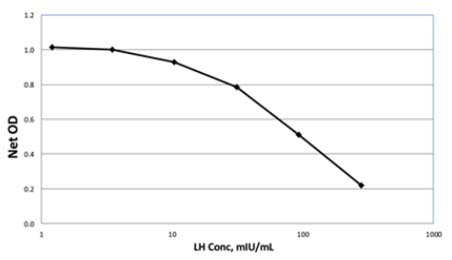 Standard curve experiment using the LTB4 ELISA kit (Prod. # ADI-900-068). With thousands of species each year listed as endangered or threatened, the work done by biologists around the world to understand and preserve animal health is never ending. Reproduction studies and stress are two of the most common concerns today. Hormone analysis continues to be widely accepted for monitoring stress response and evaluating reproductive health on wildlife. Enzo Life Sciences provides a broad range of immunoassay kits for monitoring stress, reproductive physiology, health and welfare, and survival of wildlife animals.